College is often a challenging time full of discovery and growth, especially for student athletes, who, on top of their course work, balance a rigorous training regimen and constant travel. These athletes benefit from support and encouragement from those who understand those demands. At OBU, chaplains offer this encouragement through guidance, conversation and prayer. Clay Phillips, director of student ministry, and Linda Perkins, volleyball chaplain, are two such individuals serving as chaplains to OBU’s student athletes. 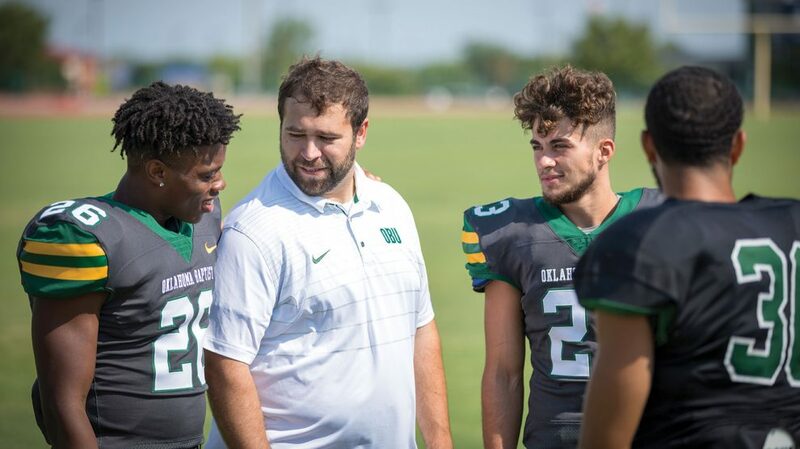 For the past year, Phillips has served as chaplain to the Bison football team, where he has been able to lead team devotionals, join them in prayer, travel to games, assist injured players and spend as much time as possible with each of them. In only one season as chaplain, Phillips has seen the impact the chaplaincy program can make on OBU’s athletes, many of whom are struggling to maintain their priorities. 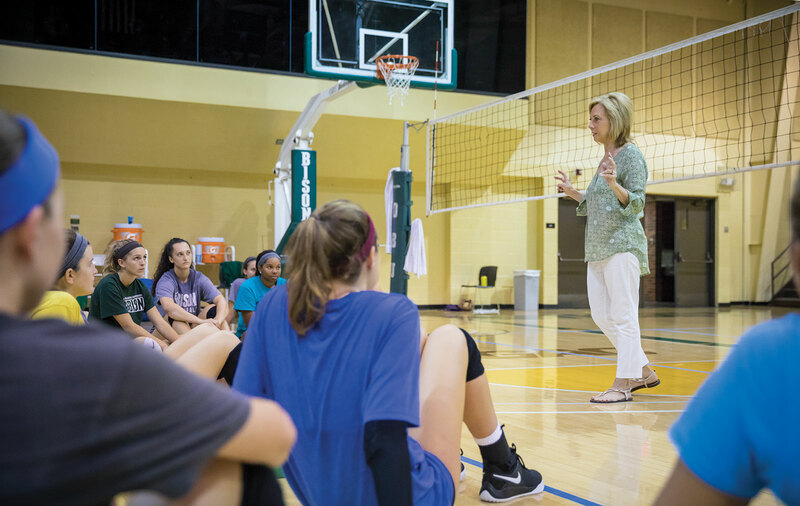 For more than 10 years, Linda Perkins has served as chaplain to the women’s volleyball team. She and her husband, Bruce Perkins, vice president for enrollment and student life at OBU, have used that time to cultivate relationships and care for the young women who come through the athletics program. As a former All-State volleyball competitor, she can relate to the struggles student athletes face on a daily basis. Each year, she chooses a book by a Christian author that she feels best addresses the needs of the young women in the volleyball program. She also schedules meetings with them, prays with them, joins them in conversation and even makes them dessert. Her hope is that the team feels loved and encouraged in a way that supports growth. Since 1910, OBU has been committed to transforming lives by equipping students to pursue academic excellence, integrate faith with all areas of knowledge, engage a diverse world and live worthy of the high calling of God in Christ. This truth is not only made evident through the many programs, activities and events that take place on Bison Hill, but it is also on full display through the dedication and compassion of the University’s faculty and staff. These professors, staff, ministers and administrators serve students year-round, supporting them and encouraging them in both their education and their walk with Christ.